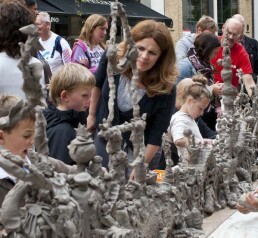 At Clayground we like to think we are encouraging people to make future archaeology by getting involved in clay today. We work with archaeologists to delve into London’s collections to illuminate the capital’s amazing history and inspire contemporary makers and ceramic appreciators. 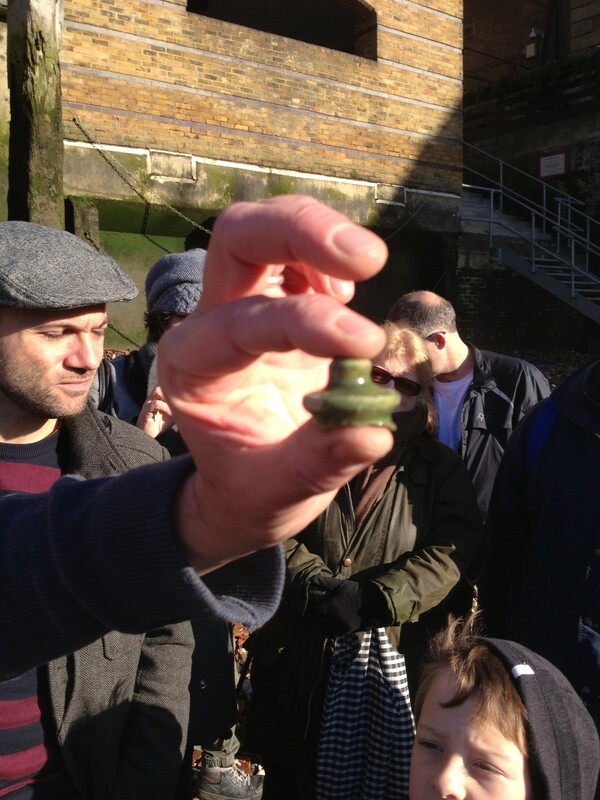 Many ceramic items can be found in the collections of the Museum of London at London Wall and at Docklands and local museums across the capital; some are in London’s archaeological archive and some are just lying around on the Thames foreshore. 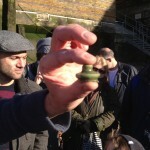 With leading Thames archaeologist, Mike Webber, we conduct walks to gather some of these traces of London history. We will be conducting further walks next year at some point. Please let us know if you would like your name to be added to the waiting list. We have found some treasures. 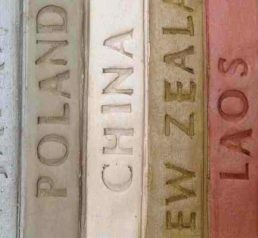 Each fragment, its clay, the use and type of glaze, opens a window onto the social, technological and trading history of London. 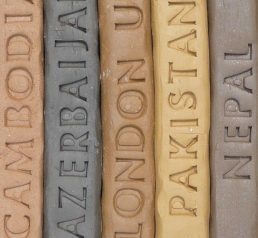 We see traces in clay of human fingers, some small enough to be those of a child, often employed for long hours in London’s potteries. In another, the imprint of a potter’s fingernail can be made out. 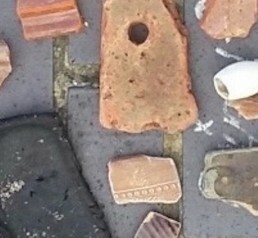 We have found clay pipes aplenty; fragments from Roman domestic pots (no glaze/ greyish clay); medieval pottery with sparse green glaze on the outside; no less than two tile pieces from Tudor heating stoves (lovely green glaze and terracotta clay); the finial from a Tudor money box (green too); fragments of decoration from Bellarmine ware (brownish salt glaze called “orange peel”) and bits of creamy white Victorian dairy crocks. The money box probably once containing the takings from theatres on the south bank ferried across the river to be banked in the City. 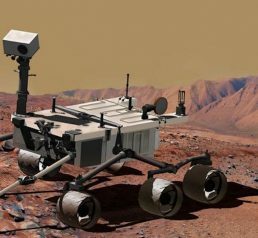 The clay pipes were doubtless dropped by men waiting on the piers for cargo to arrive or enjoying a well-earned beer at one of the many riverside taverns. We find evidence of London life in other materials too: bones, metal, wood, 17th century shoe leather and abalone shell fragments, waste from a button-making factory. Here are visual references prepared by Mike to help you identify any sherds you may come across. 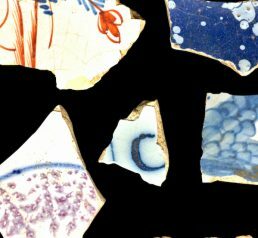 (sherds = pottery; shards = glass fragments).